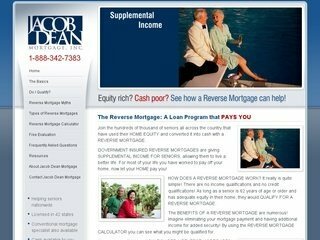 Silver Scope Web Design offers custom mortgage website design services for mortgage brokers, loan officers, and lenders. 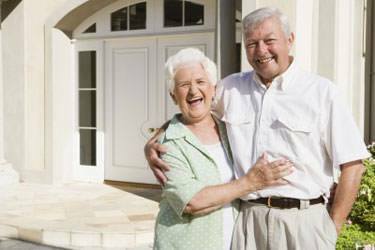 Our mortgage websites offer convenient features, user friendly navigation, and appealing designs. Our company is a one stop shop for all of your Internet marking and web design needs with our search engine optimization, content development, hosting, and domain registration for mortgage companies. If you have been looking for a mortgage website design company that can design or redesign your mortgage website, we are your number one choice. 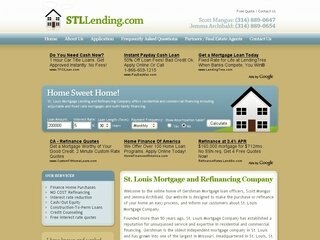 To learn how our St. Louis based website design company can create a custom mortgage website design solution for you, contact us or request a free web design quote. The Internet is an effective advertising channel that many mortgage companies have yet to take full advantage of. With mortgage website design services from Silver Scope Web Design, you can have a professional website for your mortgage company. Our mortgage websites are easy to use, professional, and appealing. The best part is that a search engine optimized mortgage website from our professional website designers will work to increase awareness and interest in your company every hour of every day even during evenings and weekends when many people are off work and searching for mortgage information. A benefit of our custom mortgage website design services over template websites and other web design services is that each mortgage website design package from our professional designers includes our superior search engine optimization services. Search engine optimization means using a number of techniques to help your website rank well in popular search engines for relevant terms and phrases. Search engine optimization will raise awareness of your company and increase traffic to your site. Therefore, your mortgage website can help push your company ahead of the competition. As we begin each mortgage website design project, we focus on your particular needs and offer custom solutions for your business. One feature that is often useful in website design projects for mortgage companies is a mortgage calculator. This allows website visitors to input personal data and receive customized information. Additionally, a contact us form will allow website visitors and prospective customers to ask questions and provide contact information to you simply and quickly resulting in new leads for your business. To learn what custom features we recommend you include in your mortgage website, contact our professional website designers. Content is important not only to provide your website visitors with important information about your business and services, but also to help search engines recognize your website. Therefore, when working on a mortgage website design project, we focus on including a significant amount of content within your website. If you would like, we even offer custom search engine optimized content writing. Our SEO content is developed especially for your business. This content will complete your mortgage website design with logical, easy to read content developed with your customers and search engines in mind.